Advameg. (n.d.). Philippines. Retrieved from http://www.everyculture.com/No-Sa/The-Philippines.html. Branellec, M. (2015). Cultural differences between Filipinos and Australians. Retrieved from http://etcom.com.au/cultural-differences-between-filipinos-and-australians/#sthash.PtP9ymRo.imCnHFlN.dpbs. Borlaza, G. C., & Hernandez, C. G. (2016). Philippines. Retrieved from https://www.britannica.com/place/Philippines. Central Intelligence Agency. (2017). 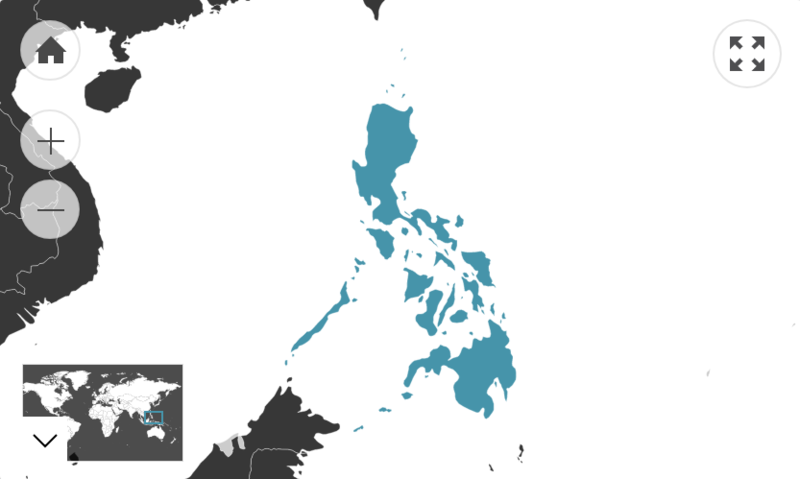 The World Factbook: Philippines. Retrieved from https://www.cia.gov/library/publications/the-world-factbook/geos/rp.html. COMMISCEO Global. (2016). The Philippines Guide. Retrieved from http://www.commisceo-global.com/country-guides/phillippines-guide. Department of Immigration and Citizenship. (2015). Community Information Summary: Philippines-born. Retrieved from https://www.dss.gov.au/sites/default/files/documents/02_2014/philippines.pdf. Diversify. (2017). Understanding Filipino culture. Retrieved from http://www.diversifyoss.com/newsroom/understanding-filipino-culture/. Dolan, R. E. (1991). Philippines: A Country Study. Retrieved from http://countrystudies.us/philippines/. Geert Hofstede. (2016). Philippines. Retrieved from http://geert-hofstede.com/philippines.html. Global Affairs Canada. (2014). Cultural Information - Philippines. Retrieved from https://www.international.gc.ca/cil-cai/country_insights-apercus_pays/ci-ic_ph.aspx?lang=eng#cn-1. Echo. (2016). Origin of Hugot. Retrieved from https://echogeronca.wordpress.com/tag/origin-of-hugot/. Fennig, C. D., & Simons, G. F. (2017). Ethnologue: Languages of the World. Retrieved from https://www.ethnologue.com/country/PH. Fleming, R. (2016). Matriarchy in the Philippines. Retrieved from http://rodfleming.com/matriarchy-in-the-philippines/. Index Mundi. (2014). Philippines Demographics Profile 2014. Retrieved from http://www.indexmundi.com/philippines/demographics_profile.html. Living in the Philippines. (2016). Filipino Customs. Retrieved from http://www.livinginthephilippines.com/culture-and-people/philippine-culture. Miller, J. (2017). Religion in the Philippines. Retrieved from http://asiasociety.org/education/religion-philippines. NPR. (2015). Getting Divorced in the Philippines where it’s against the law. Retrieved from http://www.npr.org/2015/07/02/419554813/getting-divorced-in-the-philippines-where-its-against-the-law. O’Keeffe, C. (2016). How did you get your name?. Retrieved from http://www.radioaustralia.net.au/international/2016-04-20/how-did-you-get-your-name/1571390. Rappler. (2015). List: 2015 Philippine Holidays. Retrieved from http://www.rappler.com/nation/64192-ph-2015-holidays/. REL Northwest. (n.d.). Tagalog Naming Conventions Reference Guide. Retrieved from http://relnw.educationnorthwest.org/sites/default/files/events/resources/Tagalog%20naming.pdf. Reyes, J. (2015). Loób and Kapwa: An Introduction to a FIlipino Virtue Ethics. Asian Philosophy, 25(2), 148-171. Soriano, G. (1995). Filipino families in Australia. Retrieved from https://aifs.gov.au/publications/families-and-cultural-diversity-australia/5-filipino-families-australia. Study Country. (2017). Religious beliefs in the Philippines. Retrieved from http://www.studycountry.com/guide/PH-religion.htm. Tagalog Lang. (n.d.). Filipino? Tagalog? Pilipino?. Retrieved from http://tagaloglang.com/filipino-tagalog-pilipino/. Work the World. (n.d.). Customs, Greetings and Etiquette - Getting it right in the Philippines. Retrieved from http://www.worktheworld.com.au/blog/customs-greetings-and-etiquette-getting-it-right-philippines.